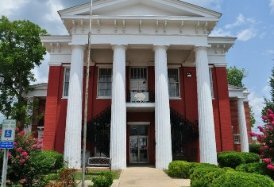 The Wilcox County Library is located in the Courthouse in Camden. It has about 33,000 volumes, plus audio and video tapes, and internet access. It is well known for its extensive genealogical records. As a public library it can provide access to books and other services from the state library, or other libraries as requested. The county library also has branches in Pine Apple and Pine Hill. Tumblebooks, ebrary, African American Heritage, Heritage Quest. and your telephone number on file at the library.